If you are looking for a business opportunity with a thriving future and solid support from a trusted company, a Aquastar Cleaning Service cleaning franchise is for you. With many years of experience, Aquastar Cleaning Services has several franchises in Georgia with more opening up all the time. The most precious commodity today is time. People are starved for it and increasingly willing to pay for services that afford them more leisure. The number of dual-income families keeps growing. More than 70 percent of women in the United States now work outside the home. Plus, the maturing American population has disposable income and better things to do than clean house. Industry experts predict demand for maid service will continue to grow at an accelerated rate as time-starved consumers continue to buy time-saving services well into the 21st century. The combination of these factors, along with Aquastar Cleaning Services experience and name-brand awareness, makes us the leader in the industry. The Aquastar Cleaning Services unique professional home cleaning system combines efficient cleaning teams with effective management and proven marketing methodologies. Regardless of your previous experience, our systematic approach to training, cleaning, office management and developing your customer base can give you the confidence to succeed with your own home cleaning franchise. To find our more about the Aquastar Cleaning Services company, our support services, training program, supplies and equipment, and how you can benefit from networking with a large home cleaning franchise, follow the links. 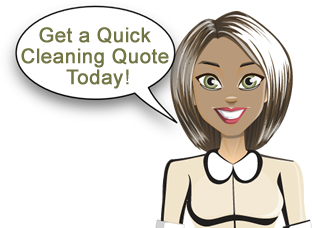 Then submit an online form to inquire further about owning a Aquastar Cleaning Services cleaning franchise. There is no cost or obligation. If you prefer, you may call us at 1-678-581-9951. Our online form is coming soon! This website and the franchise sales information on this site do not constitute an offer to sell a franchise. The offer of a franchise can only be made through the delivery of a franchise offering circular. Certain states require that we register the franchise offering circular in those states. The communications on this website are not directed by us to the residents of any of those states. Moreover, we will not offer or sell franchises in those states until we have registered the franchise (or obtained an applicable exemption from registration) and delivered the franchise offering circular to the prospective franchisee in compliance with applicable law.